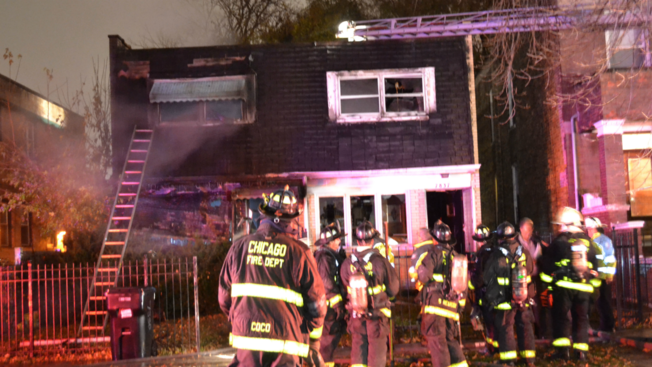 The fire started around 3:15 a.m. Friday near 78th and Sangamon in the Gresham neighborhood. A firefighter was briefly trapped when part of the building collapsed prompting a mayday call. Other firefighters were able to rescue him and he was treated at the scene. He did not need to be taken to a hospital. According to CFD, the property was vacant but squatters had been staying on the property. Two women, ages 38 and 41, were taken to the hospital for smoke inhalation and are in good condition.